Massage Therapy is a flexible, fulfilling field that centers around the well-being of people. Massage Therapists work in a variety of settings to promote relaxation and relieve pain. Behind each great Massage Therapist is a wide set of skills learned at a professional, accredited school. The American Massage & Bodywork Institute (AMBI) provides you with an elite education in Massage Therapy. Here, you will gain the confidence needed to earn your license and begin to help others through the power of massage. Pursue a rewarding massage career on your terms in as little at 28 weeks. Ongoing Career Services – We are committed to your success, from the first day of class to retirement. Our career services assistance is available to all of our graduates, no matter how long ago they completed the program. Industry Experienced Instructors – Our professional instructors bring years of real-world industry experience to the classroom. Nurturing Environment – Learn massage therapy in a safe and supportive environment. Flexible Schedules – Our Massage Therapy program consists of 20 hours per week of live/in-person campus training and an additional 5 hours per week of online training. With two different class schedules, you can manage your commitments while also building your career. Convenient Location – You can study in beautiful Vienna, VA in the heart of Tysons Corner. We’re just 2 blocks away from the Silver Line, giving you easy access to Washington, D.C. and the surrounding area. Become a part of the AMBI family and discover your potential in massage therapy. The first step is simple: Get more info now! Do you want to help others and work in health and wellness? Massage Therapy is a rewarding career for active, caring people who want to improve lives. Learn more. Keep your skills fresh and increase your massage skill set with our unique continuing education opportunities designed by our industry experienced instructors. Learn more. AMBI wants to help everyone enjoy the healing power of massage. Increase your knowledge of massage therapy with our introductory courses and put your newly acquired skills into practice with your friends and loved ones. Learn more. At AMBI, we are fully committed to helping our students grow into proud, confident, and fulfilled Massage Therapists. An independent survey conducted by the State Council of Higher Education for Virginia in April 2018 found that 99.53% of students are satisfied with our school and program. With that level of satisfaction, you can trust us to give you the relevant, quality training you need to be a Massage Therapy Professional. Is a Career as a Massage Therapist Right for You? The fun, online quiz takes 3 minutes to complete and you’ll get a personalized report. Identify your strengths and social style plus the training and positions you’re best suited for. Get Your Massage Therapy Career Training Readiness score now. Becoming a Massage Therapist is about getting yourself the confidence and skills you need to succeed. We offer expert instruction, committed Career Services support, flexible schedules, and a convenient location. Find out how you can benefit from AMBI. Becoming a confident professional is doable with AMBI. Our Career Services team helps you make your transition from massage student to massage professional as seamless as possible. We’ll support you with lifelong Career Services assistance and continuing education courses. You never have to go it alone. The AMBI Admissions team is here to help you each step of the way. We’ll answer questions you have, assist you with the enrollment process, provide guidance around financing your education, and help you with job searches. 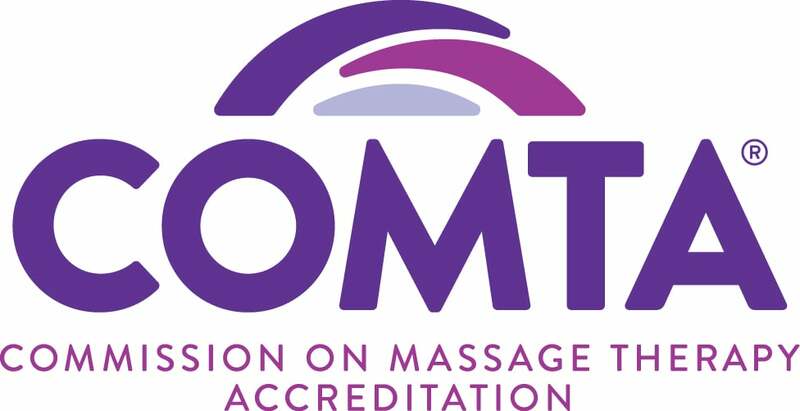 We have been granted Institutional Accreditation by the Commission on Massage Therapy Accreditation (COMTA). COMTA is the only agency approved by the U.S. Department of Education as a specialized massage therapy accrediting agency, and we are 1 of only 2 schools accredited by COMTA in Virginia! In addition, COMTA endorsed our curriculum, which means AMBI students receive some of the best training in the country! See AMBI student Javiela Galvez share in her own words why her experience at AMBI was so great for her. Discover how her massage therapy education is helping her to enter the workforce as a massage therapist in the Northern Virginia and Washington DC area. Want to learn more? Click here to find out how AMBI has changed the lives of other graduates. If you’re interested in learning more about careers in Massage Therapy and exploring whether AMBI is right for you, fill out the form on this page to receive more information.